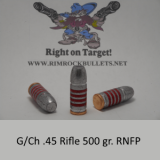 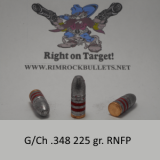 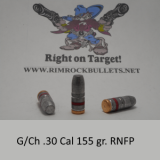 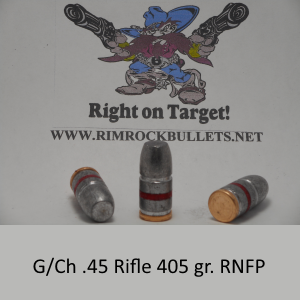 g/ch .45 rifle 405 gr. 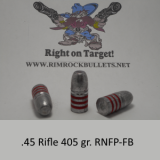 RNFP (BHN 15) this is a custom mold made for Buffalo Bore Ammo Co. 4 boxes will fit in a USPS flat rate box. 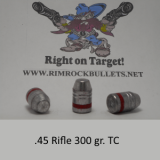 This is a brand new bullet. 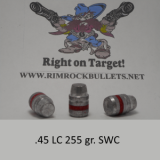 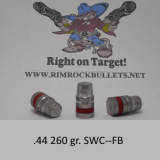 Bought these for my 458 Socom and they work amazing. 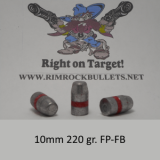 Very accurate and feeds perfect.